How can we be so sure? Because they’re cheap, and whether we like it of not, there’s no such thing as cheap Russian hair extensions. The human hair trade is a growing – and very lucrative – market. Sales in the UK alone are estimated to exceed £200 million pounds a year. Russian hair is more in demand now than ever, it is the diamond standard in human hair extensions. It has gained a reputation for being the best in the world – soft, shiny, manageable and durable. This desirability and the scarcity of the product (it’s nowhere as much of it as there is Chinese or Indian hair) has driven up the price. And, as we all know where there’s money to be made, there are scams. Just because hair is collected in Russia does not make it Russian. When experts in the hair industry talk about Russian hair, they’re referring to hair collected from Caucasian, European women and girls from the East Slavic Ethnic group (West Russia, Ukraine, Belarus, etc.). Their genes, diet and the cold climate give their hair qualities which make it the most beautiful in the world. Hair collected from East Russia is in fact Asian. It does not have the same characteristics that make Slavic hair the most beautiful in the world. East Russian hair is only Russian by name. So, if it’s not Russian what is the hair you’re wearing? When we talk about Asian hair, we don’t mean hair belonging to people from the continent of Asia. We mean hair from the Asian (Mongoloid) race – people with Mongolian, Chinese, Japanese, etc. ancestry. Asian hair is very straight and thick, and the structure is different to that of Caucasian (European, Indian, etc.) hair. Don’t get us wrong, we think Asian hair looks great on Asian people but the different characteristics of Asian hair make it a poor choice for hair extensions for the European market. Most Asian hair is mass produced as cheaply as possible. It’s exposed to harsh, chemical processes and scalding heat. It’s produced without any of the care or attention needed to deliver a quality product. This type of production has earned Chinese hair a reputation for being horrible. But it’s not true that ALL Chinese hair has the cuticle stripped, is covered in silicone, and after a few washes will become a tangled, knotted matt. 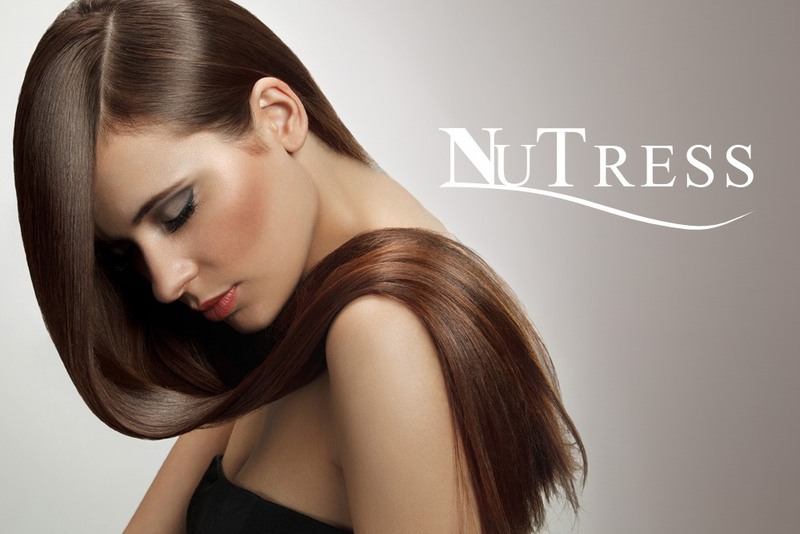 Some Chinese hair manufacturers have developed much gentler ways of processing their hair. They remove only some of the cuticle layers to make the hair finer and they keep all the hair running in the correct direction. This hair can last for many months, even as long as a year or more. Although this is an improvement, the hair is still no match for Russian hair extensions as it doesn’t give an authentic result. It’s too heavy, lacks body and doesn’t blend as well with fine, Caucasian hair – it doesn’t move the same. Chances are, if you’ve had bargain “Russian” hair extensions applied, they’re actually Chinese. Don’t be given a false sense of security that your hair extensions are really Russian just because they’re a ‘big name’ or are fitted in a salon that has a large social media following and celebrity clientele. They can afford those celebrity endorsements because they’re ripping you off. Some of the biggest, celebrity backed names in the hair extensions industry are falsely claiming their hair is Russian, charging a small fortune for what is nothing more than well produced Asian hair. How to spot fake Russian hair. If it’s labelled as Russian/Mongolian mix, it’s Asian hair. Google “Mongolian people” to get a better picture. It’s been labelled as Russian so they can charge a higher price for cheap hair. If it comes in a packet, it’s been mass produced in China. It’s not Russian. If it’s available in lots of “standard” colours, you’ve guessed it – it’s not Russian. Russian hair is not put through the same processes as Asian hair when being coloured. Because of this, there tends to be slight variations from bundle to bundle, even when ordering coloured hair in the same shade. Hair graded in “A”s only comes from China. Do your hair extensions have a tiny amount of coarse, black hairs mixed in with them? This happens when Asian or Indian hair hasn’t been bleached properly. Slavic Russian people do not have coarse, black hair. Dampen your natural hair and the hair extension hair. Take a small amount of hair and run your forefinger and thumb up and down it. Your natural hair and Russian hair will have a lot of friction when you run your fingers in an upward direction. If there isn’t any friction, or only a little friction the hair is Asian. Friction doesn’t mean the hair is definitely Russian but a lack of friction means it definitely isn’t. Genuine European and Russian hair is expensive, if you are being offered cut price extensions they won’t be the real thing. I’ve seen a full head of 18” Russian hair extensions being offered for as little as £450. Genuine Russian hair costs more than this, and that’s without fitting!